It's sold out, but don't let that stop you. Good news: you won't have to wait until 2020 to try a new Tesla-branded ride. However, you may want to learn how to hang ten first. 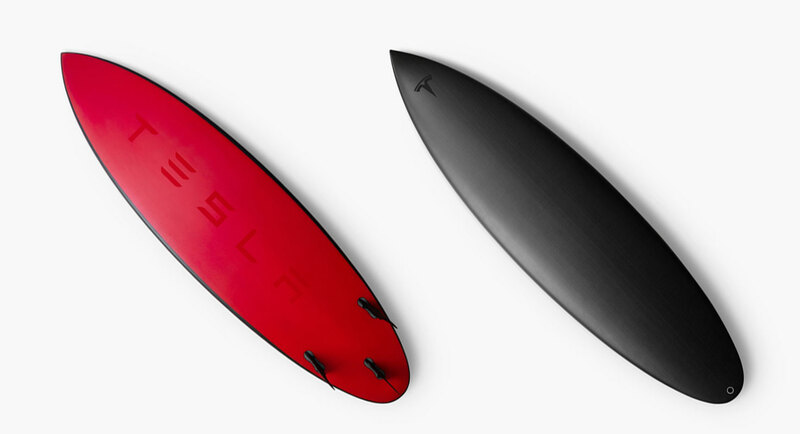 Tesla has quietly introduced a limited-run (just 200 units) surfboard that matches the company's vehicle aesthetic to a tee, including its red-and-black coloring and hints of carbon fiber (in this case, to reinforce the deck). Naturally, it'll fit inside the Model 3 and Tesla's other existing cars. And this isn't a casual effort -- Tesla had the help of Lost Surfboards and professional board maker Matt Biolos, so this design should carve the waves quite nicely. There's just one main problem... you can't buy it anymore. Even if the $1,500 price didn't give you pause (it probably didn't if you can afford a Tesla vehicle), the custom-made board sold out soon after it appeared in the store. Even the Boring Company flamethrower took a few days to sell out, for context. If you're determined to get a surfboard that matches your EV, you'll likely have to make a very, very sweet offer to pry this out of an owner's hands.